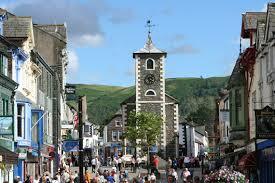 Cumbria Emergency Plumbers were called to a job as an emergency callout in High Portinscale, Keswick. Leak was found and fixed. A customer at Briar Rigg in Keswick had an airlock in the toilet which Cumbria Emergency Plumbers attended and sorted with the hour. Another satisfied customer on Helvellyn Street, Keswick after our plumber attended a leak and sourced it and fixed it.